We’d like to make a special thank you to our first corporate sponsor – Mark Isaacson from The Indie Game Magazine. The Indie Game Magazine (IGM) is an independently owned indie game magazine and web publication. IGM strives to provide the hottest news, reviews and commentary for the most creative PC, Mac and Console games on the planet. For us, the best games around are those created by indie game developers. 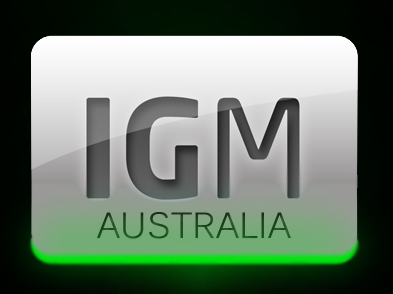 IGM AUS is a brand new article series published weekly on IGM that will focus exclusively on Australian content, a country that continues to grow and thrive in the indie gaming scene. IGM AUS is proud to support the Australian gaming community in any way possible. Thanks to Mark from IGM for his support! Be sure to find him at the party on the 18th and give him your best indie news bits.